Camel is one of classic colors that ever goes out of style and matches most of appearance types and complexions. Camel pants are one of the wardrobe staples for spring and fall and of course can be worn in summer if it’s not too hot. If you don’t want which pants to choose to look fresh and modern, we’ve prepared some ideas to try and ways to style them. 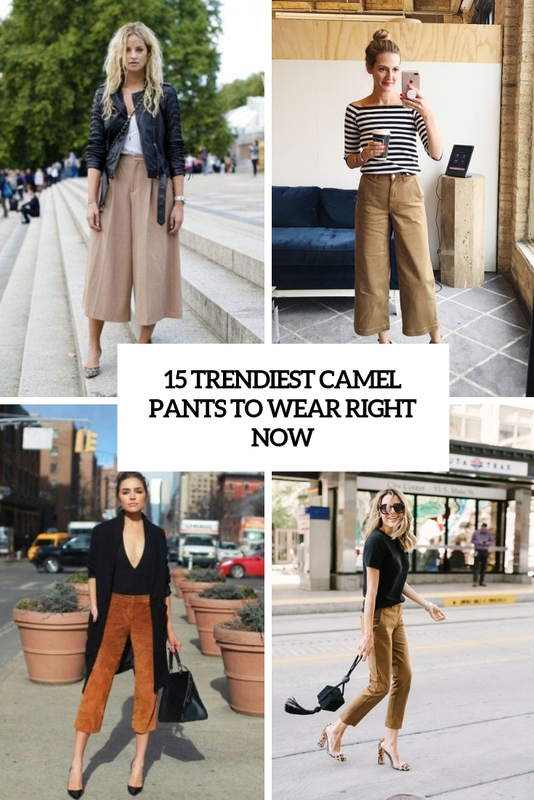 Forget jeans and go camel! 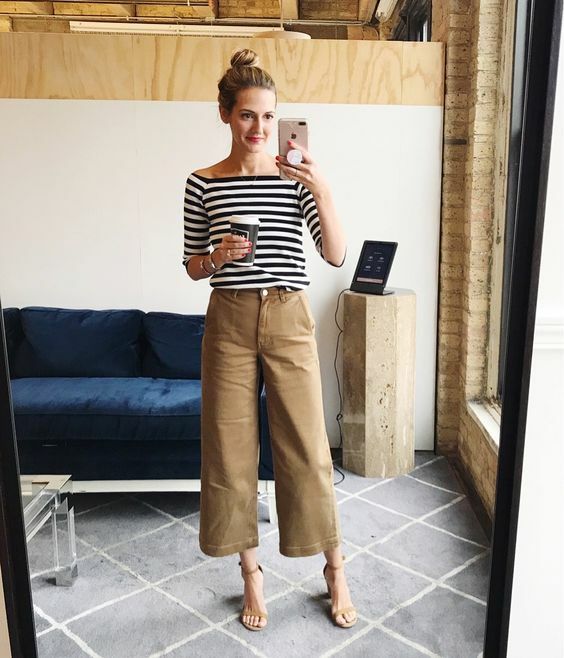 Camel culottes will easily become a base of your work wardrobe – pair them with a white button down and brogues, sneakers or heels and a classy work outfit is ready. Go for camel culottes, sneakers, a tee, a black leather jacket and a bag. 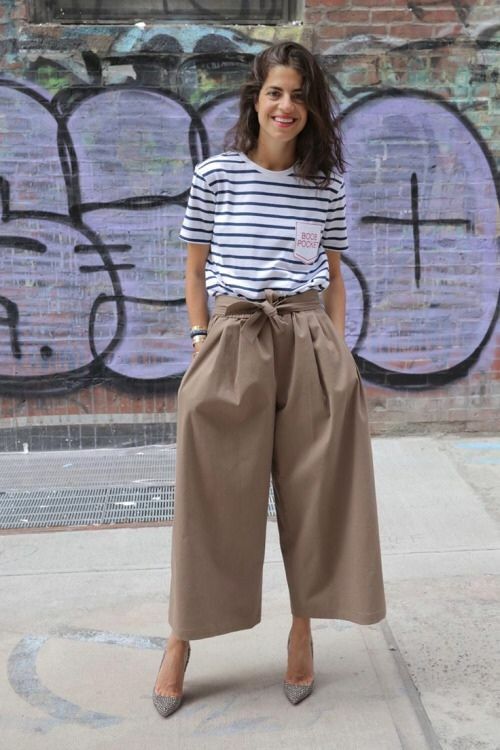 If you prefer pants and not culottes, go for cropped ones. Cropped camel pants can be also a base of your work wardrobe – wear them with a button down or a white tee, heels and a blazer and you are ready. Make up a casual look with cropped camel pants, a top, booties and a small crossbody. Get inspired!